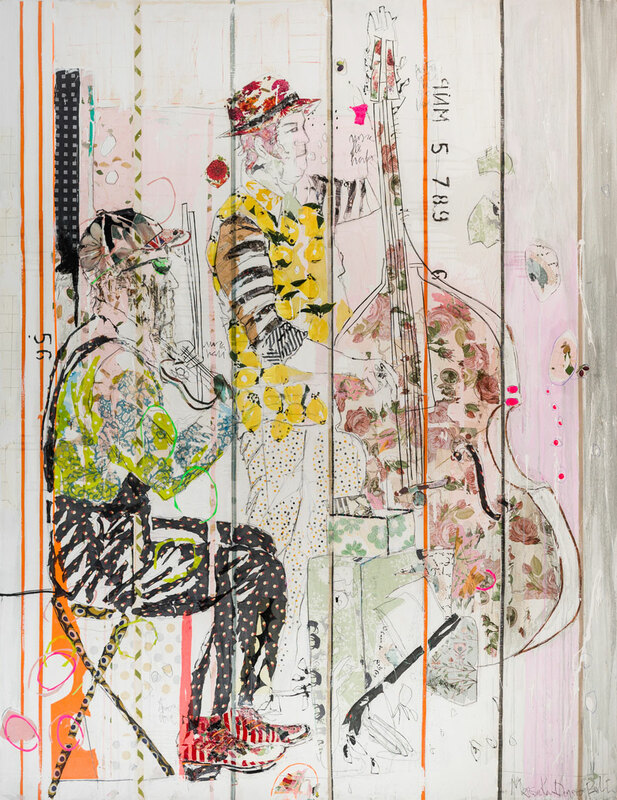 Teresa Calderon & Mersuka Dopazo’s collaborative mixed-media work, Making People Happy, paints a colorful portrait of performing musicians. The layered lines, collage, and geometric forms create a sense of rhythmic repetition, drawn from the rich, vibrant harmonies of Bali and Spain where the two artists divide their time. Patterned in similar ways, figures and instruments become one. Rendered on a monumental canvas, it is an incredible work of creative expression. To view Teresa Calderon & Mersuka Dopazo’s works in person, visit the gallery closest to you.